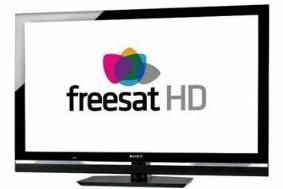 HOT DEAL: Free satellite installation on Sony Bravia Freesat TVs | What Hi-Fi? Buy your new Freesat TV from any participating Sony Centre, and they'll arrange to deliver and install your Freesat TV and satellite dish. Your local Sony Centre will check the details of your property to find a suitable position for the satellite dish, which needs a clear 'line of sight' view of the south eastern horizon with minimum obstructions. The Sony offer includes provision, installation and alignment of a satellite dish, the provision and installation of standard mounting brackets and a single output LNB. The Sony offer is available until November 29th 2009 and there may be additional charges for installations outside of the standard free installation conditions. Full details here. Alternatively, Dixons is offering its Freesat installation pack (normally £80) for free on a range of Sony Freesat TVs as listed here. Click on the relevant product on the Dixons website, and then scroll down the page to find the 'Tech Guys Freesat installation' which you can add to your purchase for no extra charge. We plan to review a range of Sony's new Freesat sets - starting with the Sony KDL-40W5810, which will appear in the First Tests section of our January issue, on sale December 11th.